Pandora wanted to see how social listening habits have changed with the rise of smart speakers. 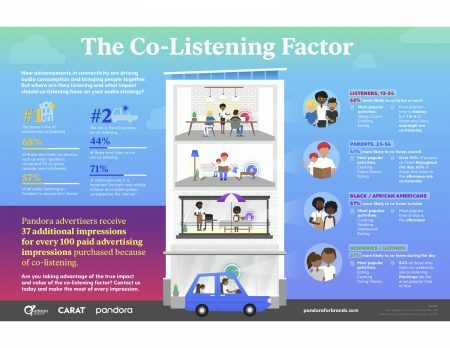 A new report from Pandora, Edison Research and media agency Carat found that 37 percent of the streaming service’s ad impressions go uncounted due to an inability to account for multiple listeners on a single stream. Pandora commissioned the study—a weeklong self-reported diary survey—to study how the rise of smart speakers has increased what it calls “co-listening” behavior. While television measurement systems like Nielsen’s set-top box have ways of tallying social viewing, no such technology or practices currently exist in the audio space. Thanks in part to the newfound popularity of smart devices, the audio streaming space is one of the fastest growing segments of digital advertising, but its expansion—in programmatic form—has been hampered by a lack of measurement and attribution infrastructure. Pandora, which closed a $3.5 billion sale to SiriusXM last month, has been rolling out a host of new efforts in recent months aimed at better understanding and communicating how brands can reach its listeners in a targeted way, including a new advertising insights lab and voice platform-specific ad formats. In terms of co-listening habits, Edison found that 68 percent of listeners who tune into Pandora on smart speakers in their homes are co-listening and 44 percent of those play the service in a car. The study also found that parents and Hispanic households in particular, which tend to be bigger in size, have a higher propensity for co-listening. 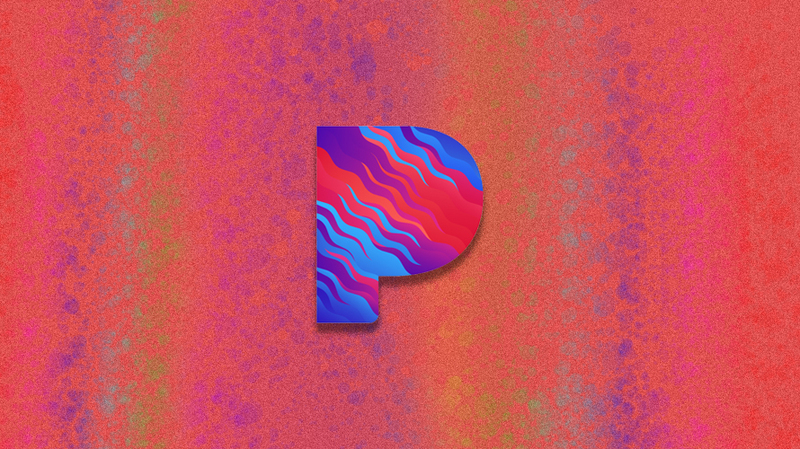 “It surprised me because I really didn’t think about all the situations and use cases where someone else might be listening alongside a subscriber to Pandora,” said Edison co-founder and president Larry Rosin. Though no technology currently exists to work these extra views into paid media plans, Haley Paas, svp of strategy and insights at Carat, said it’s something that advertisers should be taking into account when designing their ad creative, especially when specific to smart speakers and in-car listening.